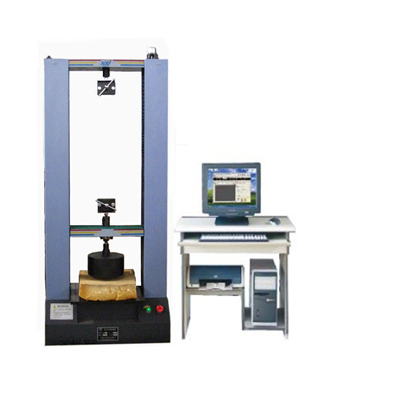 Jinan Heng RuiJin Testing Machine Co., Ltd. (Jinan Heng Xin Rui Pu Instrument Co.,Ltd.) is a hi-tech enterprise. Setting up time instrument selling center, relying on the national-level private Science and Technology Industrial Park, our company has superior technological development ability. With strict advanced control of technology and rich professional experience in manufacturing, We develop and product various types of testing machine, machine parts and various types of test equipment. Hydraulic universal tester ;Microcomputer digital display hydraulic universal tester; Microcomputer controlled electro-hydraulic servo pressure tester; Digital display spring-tension and compression tester; Cases pressure tester; Covers pressure tester; Bag container tester; Microcomputer controlled electronic universal tester; Digital display electronic universal tester; Microcomputer controlled electronic tension tester; Digital display electronic tension tester; Automatic (constant stress) cement tester; Automatic (constant stress) concrete pressure tester; Hard board universal tester; Rubber tension ,press and cut tester ;Frozen soil tester; Computer controlled electro-hydraulic servo cable tension tester; Computer controlled electro-hydraulic servo cable relaxation tester; Fatigue tester; Horizontal tension tester ;Steel, steel tube bending tester; Impact tester; Hardness. impact style gap broacher. projector. the trough of low temperature; A variety of accessories, wearing parts of tester; Various tester non-standard fixtures design and manufacturing; Tester maintenance and upgrading, etc. To serve our customers completely, we offer supplyment of complete sets of lab equipmenthave, technological consultation, installation, debugging and maintenance. The main products are: hardness tester; metallurgical analysis apparatus; optical instrument; casting instrument; all kinds of measuring tools, measuring instrument; cabinet dryer; environment test cabinet; rubber, ceramics, coating instrument, construction, highway, cement laboratory apparatus; chemical reagent, and glass instrument, etc..
We persist in the enterprise spirit of “to achieve more with persistence and to be prosperous with credit” and the management theory of “ specilization and concentration;s ervice with credit” and provide advanced and perfect testing equipments and service for all users. Welcome every regular and new friend to come to our company to visit and guide.